I’m happy to have Doug Levandowski from Meltdown Games on Go Forth this time. Meltdown’s darling game is Gothic Doctor and Doug is going to tell us about it. Tom: Meltdown Games is Doug Levandowski & John McNeill. I have Doug with me today. Introduce yourself Doug. 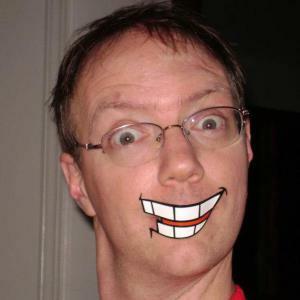 Doug: I’m Doug, and I’m an English teacher by day, English teacher by night, and game designer when I can shoehorn some time in there to get it done. I’m a New Jersey boy born and bred – but actual New Jersey, not the stuff you see on reality TV. Tom: Meltdown is a fairly new company. What made you decide to jump into the pool? Doug: It wasn’t really a choice so much as we had a game that we had a really strong vision for, and we wanted to make sure that it got out in exactly the way we wanted it. And we figured, “How hard could it be, right?” That, uh, was a bit naive. But still, it gives you ownership – in the literal and the metaphorical sense the whole way through. 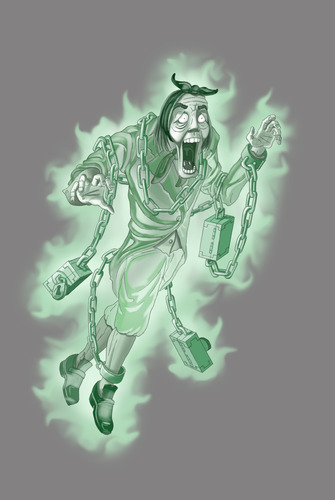 With Gothic Doctor, we felt so strongly that we wanted to stay true to the literature and not, say, have Mr. Hyde be the absurd hulking brute he is in most contemporary depictions. He’s actually described as shorter than Jekyll in the text. And we wanted to keep that connection strong. Going over to a publisher, which we thought about a little bit, ultimately would mean that call isn’t ours to make in the end. Tom: Who’s the brains of the pair? Doug: That really depends which hemisphere you’re talking about. I’m more the words guy, and John’s more the physical design guy – though when we need to, we can hack it in the other’s world, too. And I guess I’m the original idea guy who wants to rush on to the next thing, and John’s the guy who says, “Uhm, let’s maybe finish this first.” So, not to be too arrogant here, but we’re both the brains. Tom: How do you guys work? Where do the ideas come from? Doug: Gothic Doctor came out of a dream about my dad, who’s a doctor in real life, asking me to get him pliers so he could take out Dracula’s teeth. I woke up and was like, “That’s a game.” It was the first one John and I have ever done, so that’s been a heck of a learning curve. It’s also the only one that we’re working on together at this point. But in terms of the ideas, I do a lot of the 24-hour contests on Board Game Geek. Every one, actually, since last May, when I did a game where the requirement was “scorpions”. So that lets me play a little bit in a confined timeframe, experiment with some mechanics that I might not use otherwise – and ones that are okay to just not turn out well given the time. Then, if there’s a kernel of an idea there, maybe I’ll try to run with it a little bit – but pretty much everything else is a side project to keep me mentally loose for Gothic Doctor – though there are a few other designs that I’ve been poking at that are more or less complete – or 80% to 90% done now. Tom: Your first game is Gothic Doctor. Tell us about the game. How does the game work? Doug: So, in Gothic Doctor, you’re playing a doctor in the least reputable medical clinic in Victorian England. After an incident on the last full moon with a mad scientist, a couple werewolves, and a doctor who happened to be between them, there just so happens to be an opening for a new partner. If you can earn the most money for the practice tonight, that’s you. Mechanically, it’s a 2-4 player game that plays in between 20 minutes (with 2 experienced players) and an hour (with 4 new players). In the game, the goal is to use combinations of unique treatments from your hands to make sets that will treat patients – sort of like rummy in that respect. There are different levels of patients; some take 2 treatments, some 3, and some 4. On top of that, you’re able to draw action cards that can either make it easier for you to treat, screw over your opponents, or affect gameplay in some other way that’ll help you. There are also a few bonuses for treating the right combination of patients. Every player gets 11 rounds to earn as many pounds as possible, and the winner is, of course, the doctor who made the most for the practice. Tom: Ok, let’s get this out of the way. Gothic Down had an unsuccessful KS campaign. Talk about that experience and what you’ve learned from it. Doug: So much. Right after it happened, we took a week, thought it all over, and put out a “Post-Mortem” about what we learned. Basically, we didn’t do enough marketing ahead of time, didn’t get the game to reviewers, and were just focused on the stuff that designers would be focused on: getting the game to where we wanted it to be. If anyone wants to check out more details about that, here’s a link: http://wp.me/p3qClI-6q. People have generally said it’s pretty helpful stuff, so who are we to argue, right? After that, we took some time off to decide if we wanted to go through the stress of a Kickstarter project again and, after a summer of taking it easy, we decided, yeah, we do. We want to get this game out to the world. So we started thinking about what we can do in terms of marketing this time around. And that part has come pretty easily. I generally like people, so talking to new folks in the gaming community was one of the best parts of the first project and the stuff that went on after the fact. Post-Kickstarter, I met Ivan and the other guys from 9 Kingdoms who were super supportive, Suzanne and Chris from Cardboard Edison who might be the nicest people in the gaming community and made two of the best three games I played last year, Charlie Ecenbarger from Sizzlemoth Games whom I respect like crazy as designer, and Jeff King, the podcasting genius responsible for all things All Us Geeks. We’d talked to him before, during the campaign, but I’ve been working with him to answer this question in more detail over a series of monthly podcasts about the “Road to Relaunch” this summer. And the Zinslis asked if I would write about once a month for them on Cardboard Edison, which as far as I’m concerned is like the New York Times asking a reporter to write a column, so of course I was all about that! And Dave Simpson from Gamers on Games who, it turns out, lives one town over from me… I mean, I could keep going name dropping the amazing people we’ve met and talked to and gotten advice from and had game days with – and that’s tempting, because I don’t want anyone to feel left out…but I don’t think everyone wants to read about all that. The point is, I’ve been astounded by how amazing this community is. We talked about this in the Post-Mortem, but every day I’m in the community, I’m stunned by how great and caring and generous and other positive adjectives people are. And we’re so thrilled to be a part of that now! Tom: You have a couple of other games also. Tell me about them. Doug: Yeah – these are all side projects at this point, but some of them definitely have potential, we think. After the Kickstarter, as a thank you to the folks who backed us, we released a game that a friend and I made called Worst Day Ever, which is about getting your friends to help you remember an earlier day in the week so bad that you blocked it out. That was just for our original backers, but I think it’s safe to say that at some point, the world will see that one again in some form or another. There are others that are in various stages of done-ness, but those are the ones that are in some kind of final-ish form right now. Tom: What’s the production process like? Talk to me a bit about that. Doug: Process. Heh. I mean, we don’t have anything really codified, but it’s probably a lot like most folks: we come up with an idea, think about it, refine it, draw it up on note cards or blank playing cards, test it with our immediate friends, make some black and white prototypes at Staples, playtest some more, get some art, finalize card layout, finalize the art, scrap some big part of the game and start over on that part, playtest some more, and then try to get it out to the world. 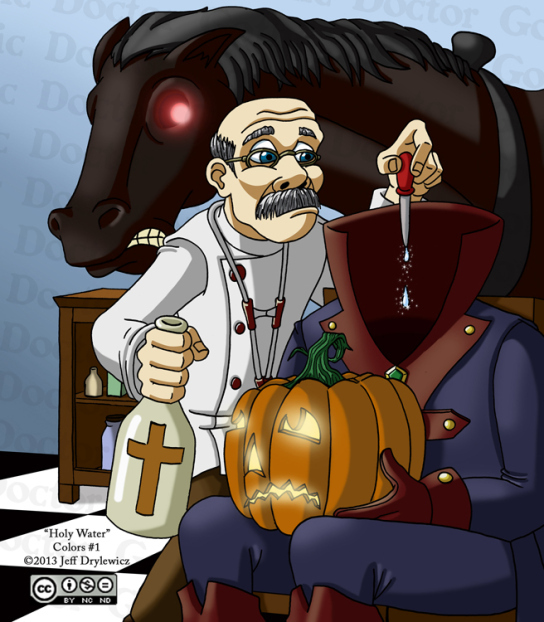 Though we’ve only gotten to the “get the art” stage with Gothic Doctor. Everything else is stuff we found online that’s free for us to use, like the art for Circus Divas. We just can’t sell it – though I’ve been talking with the artist for that one. Some of them, like Krampus and Worst Day Ever are mostly just text, though, so those are more or less completed designs without the art. They’re not ready for Kickstarter or anything…but definitely for more playtesting and refinement. Tom: Do you have a design philosophy? Do you have overarching design goals? Doug: Absolutely. We want to make games that are fun and intuitive. One of the best compliments we’ve gotten was when Herb from Game and a Curry said that by the third round, Gothic Doctor felt like a game he had played before because of how quickly and intuitively he picked it up. That’s huge to us. And we’re big into the social aspect of gaming, so we think of our games mostly as being social experiences. I’d say that Gothic Doctor is about as far from that as we’re likely to get for quite some time – and that has a lot of cross-talk if you’re getting into character. But if you look at the other four I mentioned before, three of them are really all about telling a story with the other people you’re playing with and just laughing – or in the case of Worst Day Ever, ruining your friends’ days – which if you have the right friends is pretty much the same thing. A general house rule for me is, “The person who has the most fun wins.” That’s not, of course, the case with Gothic Doctor…but, hey, it sure doesn’t hurt. Tom: Kickstarter – we’re several years in now. How is it hurting and helping gaming? But Cardboard Edison’s new game Cottage Industry is also one of the best games I’ve ever played. It’s brilliant. I don’t understand how no one has snapped that one up yet and gotten it to Kickstarter ASAP. I’ve played it three or four times, and they just keep making it better. If we were publishing other people’s games at this point, they’d have gotten an offer from us three months ago. Tom: I’ve played that and it’s going to be a very hot game. What are you currently playing the most? Tom: Favorite game played in 2013? Doug: Legendary – though Cottage Industry is a close, close second. My guess is when Cottage Industry moves out of the rough-art-prototype stage it’ll take the number one spot. But at this point, when my wife and I are watching TV, we’re probably playing Legendary, too. Doug: Legendary surprised me in a great way. John got it for me for my birthday back in February of last year and we played it once. We all sort of said, “Okay, so that’s like Dominion, then.” But we played it again said, “Huh…that was a little deeper than Dominion.” And by the third time, I was hooked. Tom: I’m getting that idea that you like Legendary some. Doug: Not sure. Until pretty recently, it was definitely going to be Circus Divas, but there’s another one that’s still in prototype stages that I’m really in love with. I’ve played it with really serious gamers like Ivan Turner [from Nine Kingdoms] and Dave Simpson [from Gamers on Games] and they’ve liked it. And I’ve played it with people who are very much non-gamers, and they’ve liked it, too. On top of that, it’s a very micro microgame, so there’s some appeal there, too, in terms of the ease of making it. It’s tentatively called Greenlight, and it’s a mob-themed game where you’re trying to kill the other player’s Don. The short description is that if you can figure out that a card is in person’s hand, you can eliminate it from the game. Ivan called it a “deduct to destruct” game, and I like that. So we’ll see. Something is next. That’s for sure. Tom: You attended Dreamation earlier this year. How was it? Doug: Amazing! The Double Exposure events are all amazing and so well-run. John couldn’t make it, but I took Gothic Doctor, got to hang out with the 9 Kingdoms guys, lose an ApocalypZe tournament to a delightfully vicious high school junior – and then play Gothic Doctor with her, eat some great Thai food, get an hour or two of sleep… Just all around a perfect gaming weekend! I can hardly wait for Dexcon in July! Tom: Doug, Mr. Hyde. Very interesting. Expound a bit. hypocrite. He wants to be the perfect, serious person and not like the ladies quite so much, which he sees as a flaw. So he makes this potion so that he can let his bad side out to play without it affecting his reputation, and then it gets bad. The other interesting thing to me that I realized while I was re-reading last summer was that Hyde isn’t all bad. He hates who he is and desperately wants to stay concealed from the world (hence his name). Even Jekyll thinks he’s pure evil, but he’s the one who keeps drinking the potion that will change him back to Jekyll. And he’s the one that kills himself when he can’t become Jekyll again, after the corrupted powder runs out. He’s way more complex than any depiction of him has ever shown him to be. On top of that, we don’t have any narratives from Hyde talking about who he is or what motivates him – and we already know that Jekyll is a hypocrite (Stevenson himself says something about that in a letter to a dramatic critic). So of course he wants to make Hyde look bad and himself look good. I could go on for a few hours, but I’ll cut myself off here. Tom: Is there a particular subject or historical period you feel is underrepresented in game themes? Doug: We were shocked that nobody had delved into Gothic literature the way we had – and I’m consistently shocked that there’s not a detective game about C. August Dupin, Poe’s master detective. I guess Sherlock Holmes is so big, especially right now, that he’s just such a bigger selling point. Doug: They can email us at info@meltdowngames.com, find us on Twitter at @meltdowngames, or check out the website at MeltdownGames.com. And they should definitely check out Gothic Doctor’s Facebook page and give us a like there to stay connected. Doug: Thanks for the interview, and we hope everyone will keep an eye out for our Kickstarter the end of June or very start of July! Tom: By the way Doug, we’ve heard from the Society for the Care and Handling of Moles. They want to talk to you about origami or something. Doug: Man, that was a rough time in my life. Looks like I’m going to have to change my identity again. HA! Thanks for being my guest on Go Forth Doug. 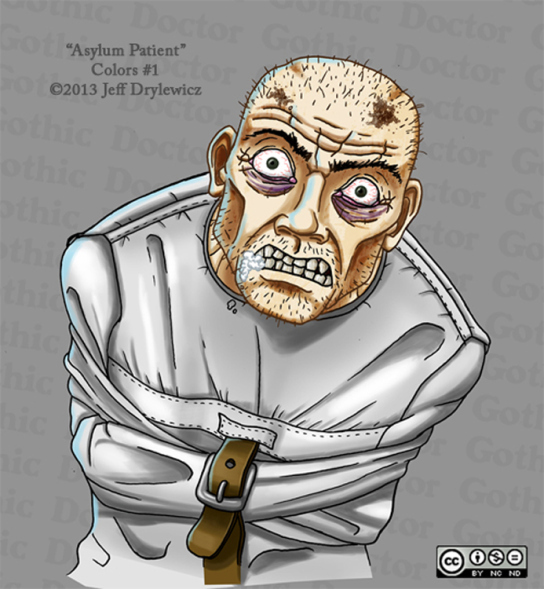 I’m looking forward to playtesting Gothic Doctor. It was a lot of fun to talk to you. Smoking Some Birds – A Conversation With… Chevee Dodd, the designer of Pull!